Kelson James Kaj is a 2016-2017 recipient of the John Holmes Malmberg Prize. Kelson recently graduated from UC San Diego with a B.S. in physics. During his undergraduate degree, he worked in the lab of Dr. Eva-Maria Collins, looking at various biophysical problems related to planarians. 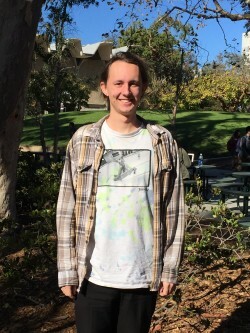 After graduating, Kelson will begin pursuing a PhD at the physics department at UC San Diego.